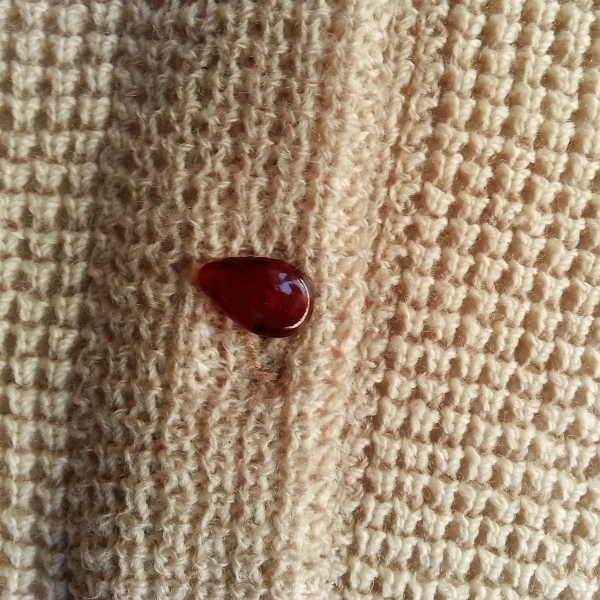 Why yes, I did decide to make an automatic buttonhole on sweater knit fabric using a home sewing machine. There's no separate button band in this example, but each side is stabilized as in last week's post. Keep the sweater knit side on top as you make the buttonhole. 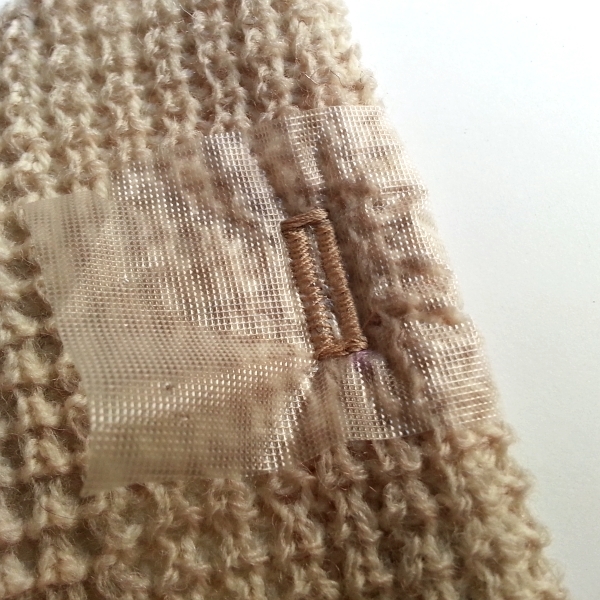 If the buttonholer on your machine won't move smoothly over the sweater knit, add temporary stabilization. My old favorite, Sulky Super Solvy water soluble stabilizer [affiliate link] worked wonderfully. No need to make a solution and paint it on as for an unstable cut edge. Just cut an appropriate sized piece and pin it in position over the place where your buttonhole will be. I cut the stabilizer wide enough so that the placement of the pin didn't interfere with the buttonhole attachment/presser foot. The Solvy stabilizer is wrapped around the edge of the fabric. This way the fabric doesn't directly come in contact with the buttonhole attachment on top or the feed dog on the bottom. 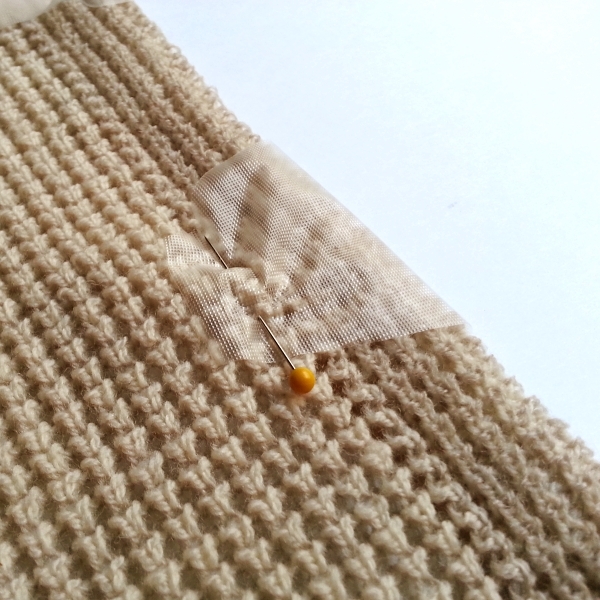 The pin secures the Super Solvy layers to the fabric in the middle. I marked the place to begin the button hole with an air erasable marker [affiliate link] . Though you can't quite see the mark through the Super Solvy in the photo above, it was quite visible through the stabilizer as I lowered my needle into the fabric. Here's an extreme close up of a buttonhole sewn through the stabilizer. The Super Solvy melts away in the water. Learn more about working with sweater knits with my workshop and video series. Thanks so much for sharing this (years ago, I know! )...I'm adding a button hole to a ready to wear sweater knit cape and that means I don't have scrap fabric to practice on. Your solution is exactly what I was looking for!! So glad it was helpful, Erin!